I found many calling errors like this, all of the phred quality >30, but HaplotypeCaller miss them, report as Homozygote. Here is the code. Many thanks. This is covered in the documentation -- see the "Common Problems" section of the Guide. There is an article on what to do when you expect to see a variant call but it isn't called. 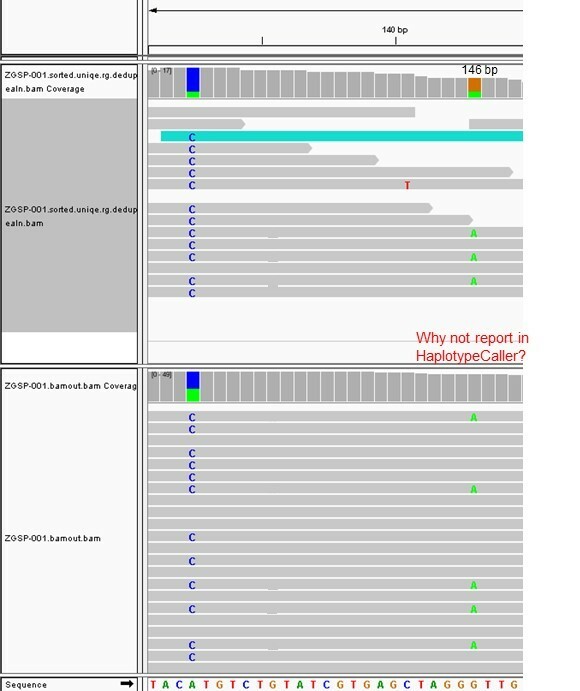 I couldn't found a resonable reason in "Common Problem" for why HaplotypeCaller missing some very obvious variation. Please check the attached picture, this is IGV debug process, but HC still missing at 146bp. 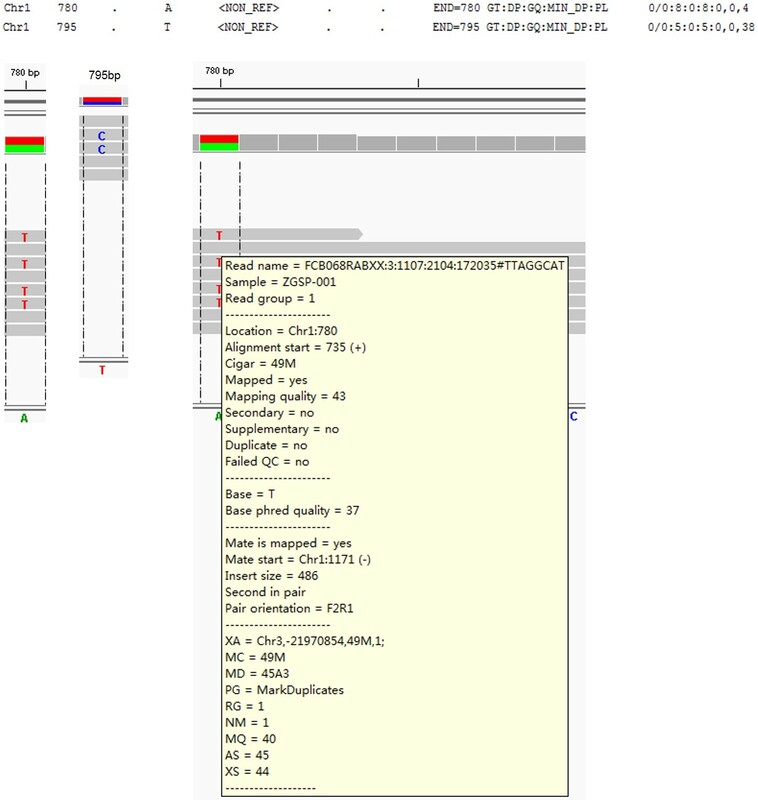 If you mean the A allele at the site on the right, that looks more like an artifact to me... What does the GVCF record look like if you run on this site in -ERC BP_RESOLUTION?